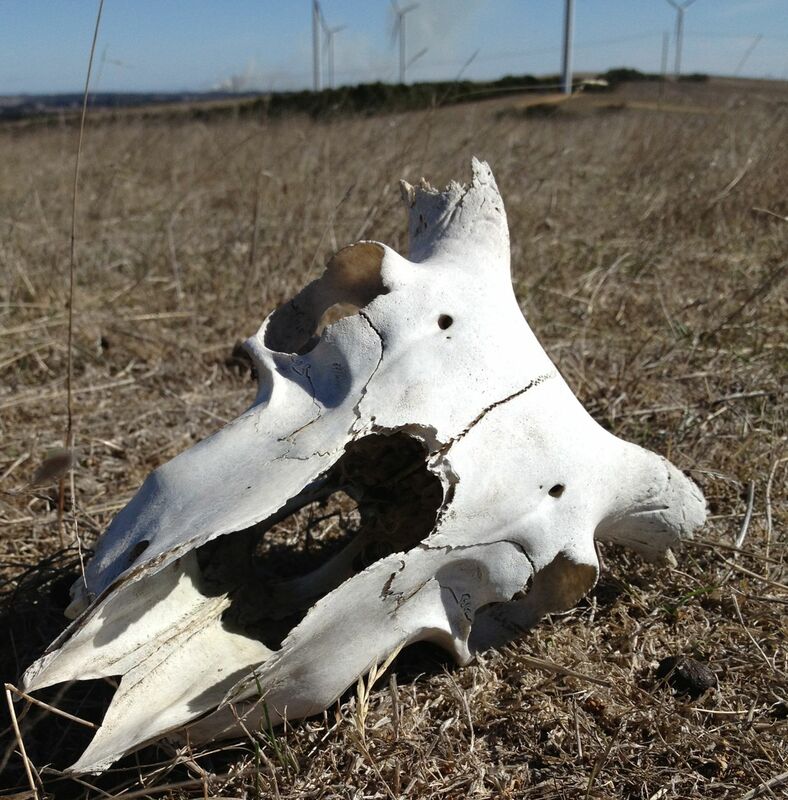 Posted on April 20, 2013 by malbrown2 Comments1 Comment on Windfarms . . . . safe? Windfarms . . . . safe? Once again I’m counting birds at Oaklands wind farm. It’s funny but usually I spend more time watching the sheep on the farms rather than the birds, mostly to avoid running over them. However, the guy below was easy to photograph. Sorry for those of you who are young. . . but. . . . I’ve spent a lot of time on farms in my life and today I thought, not many people “these days” would see the skulls of animals. Anyway, you must agree, this is different from my usual picture of a sunrise over a wind turbine. A nice stark pic, skulls and bones were the theme of one of our Milloo photo workshop participants yesterday.